Deanna is a Licensed Clinical Psychotherapist who has been working in the mental health field treating individuals, families and adolescents for over 20 years in all levels of care. She has worked in outpatient care for over 8 years where she was trained by leaders in her field. Working extensively with teenage and adult clients with addictions, Anxiety Disorders, mood disorders, family and couples therapy, co-parenting and behavioral management skill building. She has also worked with individuals experiencing grief, loss and terminal illness, and is certified in EMDR therapy, a specialized treatment modality used to treat trauma. Deanna is the founder and owner of Gals Institute, LLC. which was developed by Deanna as a personal passion project to help girls 9-17 develop confidence, self-esteem and leadership skills through using multi-dimensional interactive modalities through workshops and one day events, as well as branch out her therapy services by collaborating with others in her field. Now expanding her practice scope she has created a team of professionals that specialize services for boys and girls ages 5 and up. Gals Institute offers therapy services for adults and couples as well, focusing on the family system as a whole. Deanna is an active parent of three children residing in the Oconomowoc community. She was the Oconomowoc Public Education Foundation (OPEF) president 2015-Jan 2017 as well as Nature Hill Intermediate PTO board member, recent award recipient of the 2017 Woman in Business Leadership Award. She is a advocate and leader in prevention and treatment with treating the Individual, family and adolescent through speaking events in the community and development of prevention programs. 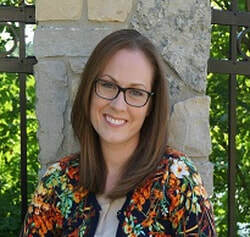 Emily graduated with a Master’s Degree in Professional Counseling from Concordia University-Wisconsin and received her BA in Early Childhood Education from the University of Wisconsin-Milwaukee. Emily has extensive experience working with children, adolescents, and families in outpatient and day treatment settings. Emily uses Cognitive Behavioral Therapy, family systems approach and strength based approaches with clients and also enjoys utilizing state of the art play therapy techniques with children. She enjoys helping clients play an active part in working towards and ultimately reaching their treatment goals. Emily also works with families and individuals with issues of anxiety, depression and other emotional struggles they are experiencing. Emily is the newest facilitator for Gals Institute Workshops and events where prevention programs are made fun and interactive for all ages groups. As a nationally certified counselor, she provides social and emotional nourishment to individuals, couples and families struggling with relationships, life stressors, transitions and health challenges - in other words, all of the joys and challenges of being human. She also focuses on parents (such a tough, humbling gig! ), and helping them develop healthy, fulfilling relationships with themselves, their children and each other. She has extensive experience in grief, loss and dealing with chronic illness, and companions people on these journeys to a place of hope and healing. When appropriate, she incorporates EFT (Emotional Freedom Technique) into her sessions, which is a crazy sounding but highly effective energy technique that is based on the same principles as acupuncture. She has a solution-focused approach, which means she is committed to working with clients in an collaborative partnership to solve problems and achieve positive change: such as more enjoyable relationships, more ease and joy in daily life, less stress and strife, more energy and an increased sense of well-being. She enjoys living in the Lake Country area with her husband and two children (including one budding teenager.) For more information specifically on couples counseling, please CLICK HERE. Angie earned her Masters of Science Degree in Mental Health Counseling from the accredited, Walden University and her Bachelor of Arts Degree from UW-Milwaukee , majoring in both Psychology and Communication. Angie has been working in the field since 2010 and has extensive experience working in both outpatient and intensive outpatient settings conducting individual, group and family therapy. Angie's areas of expertise include, eating disorders, co-occurring conditions such as anxiety, depression, other mood and anxiety disorders, self esteem and body image issues, adjustment difficulties, grief/loss, family/martial conflict and self harm. She is integrative in using Cognitive Behavioral Therapy (CBT), Acceptance and Commitment Therapy (ACT), Mindfulness, Motivational Interviewing and Dialectical Behavior Therapy (DBT). Angie works with adolescents, adults and families to promote meaningful change through emotional awareness, effective communication and building resiliency. Angie believes in working collaboratively with clients to meet them where they're at and assist with developing insight and tools to enhance their life and relationship with self and others. She also believes therapy isn't just for "fixing problems" but a wonderful opportunity to get to know yourself and build self esteem and confidence that will last a lifetime. Aside from providing therapy, Angie is passionate about awareness and prevention initiatives and is our newest workshop leader. Sofia is a Licensed Professional Counselor and National Board Certified Counselor who specializes in working with children and adolescents. She has experience in helping children and adolescents promote effective coping to manage difficult emotions, gain insight into family dynamics, and increase awareness of their own self-identity through a strength-based approach. She has treated a number of children with mood disorders, trauma, and emotional and behavioral issues. Sofia utilizes play therapy and mindfulness techniques into her treatment utilizing the latest in state of the art treatment modalities. Sofia is also trained in EMDR therapy a specialized treatment for trauma, anxiety and other emotional struggles.. Sofia is the newest Gals Workshop lead facilitator excited to lead our workshops to the younger populations. Sofia is a leader in helping promote prevention and resiliency among our adolescents and families. Joelle is a Certified & Registered Dietitian at Workforce Health with a Bachelor’s degree in Science with a major in Nutrition. Her specialties include giving presentations and workshops out in the community or at corporations on various health and nutrition topics to adults and children. She also coaches clients for weight loss, diabetes management, decreasing risks of chronic diseases and ways to promote a healthier and more organic way of cooking and eating. Joelle feels most clients do not give themselves enough credit for the lifestyle changes they have already made. Her philosophy is to celebrate the small victories and be proud of any steps that you are taking towards better health. Joelle is a facilitator for Gals workshops that teach healthy relationships with food for kids and adults. Joelle loves being outside in her garden, spending time with the friends and family, watching her kids sporting events and teaching fitness classes at the YMCA. Margaret is a graduate student at Concordia University; earning her Master’s degree in Counseling. She earned her bachelor’s degree from the University of Wisconsin – Madison in Child and Family Studies. Before pursuing counseling, Margaret worked as a wellness coach, empowerment facilitator for individuals with serious illnesses, and was part of community initiatives to build strong youth and families. During this time, Margaret gained knowledge and skills in working with life stressors such as eating disorders, divorce, anxiety, trauma, and depression. Her counseling approach stems from the Adlerian perspective which focuses on the whole person, is strength based, and emphasizes seeing life from the client’s point of view. Her passion is to help people see their value, strength, and inner beauty. Margaret is a Gals Institute workshop facilitator and office support leader. ​Becca earned her Masters of Science degree in Mental Health Counseling from the accredited, Mount Mary University. Becca is a National Board Certified Counselor and is currently completing her 3,000 hours at Gals Institute working with kids, teens and young adults that struggle with anxiety, depression and other issues that make life stressful. Becca has a passion with working with kids, adolescents, and their families. Her specialized training is in utilizing Cognitive Behavioral Therapy (CBT) with kids in a intensive residential treatment program for severe anxiety and OCD. She is excited to bring her skills to Gals Institute and continue her growth and training as a provider for kids and families. Becca is a Gals Institute workshop facilitator and our office support leader. Alissa Darin is a Licensed Professional Counselor in training, School Counselor and Alcohol Other Drug Abuse Prevention/Intervention Coordinator. She received her Bachelor of Science degree from the University of Wisconsin-Madison in Education and Kinesiology. She received her Masters in Counseling, School and Community, from Marquette University. Training as a psychotherapist, Alissa’s focus is in helping adolescents, adults and families thrive using Solution-focused Therapy, Cognitive-Behavior Therapy, Motivational Interviewing and a family systems approach. Alissa is a National Board Certified Educator in the area of Counseling - Early Childhood through Young Adulthood. Additionally, she is a Love and Logic facilitator and a speaker for parent groups, conferences and agencies focusing on mental health topics, parenting and drug/alcohol use issues. Terri is a board certified psychiatric and mental health nurse practitioner. She has been a nurse for over 20 years, earning her bachelor’s degree in nursing from Alverno College, and her master’s degree from the University of St. Francis. Her role at Gals Institute LLC is to provide psychiatric evaluations, diagnosis, and treatment (medication and/or non-pharmacological interventions). We are excited to have her as part of the Gals Institute Clinical team, working together to help our clients on their journey of wellness. Terri’s approach is holistic, and based on the understanding that there is a critical connection between physical and mental health. She believes medication can be beneficial, yet understands medication is not the only tool to be utilized. By providing education and guidance on things such as proper nutrition, sleep habits, physical activity, as well as medication, Terri believes patients can be empowered to make informed choices regarding their health. She looks forward to partnering with patients on their journey to health and well-being.